Your data is stored through Chic Couture Online’s data storage, databases and the general Chic Couture Online application. They store your data on a secure server behind a firewall. If you choose a direct payment gateway to complete your purchase, then Chic Couture Online stores your credit card data. It is encrypted through the Payment Card Industry Data Security Standard (PCI-DSS). Your purchase transaction data is stored only as long as is necessary to complete your purchase transaction. After that is complete, your purchase transaction information is deleted. 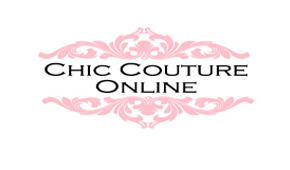 For more insight, you may also want to read Chic Couture Online’s Terms of Service here or Privacy Statement here.